From retail businesses to large, complex corporations, our commercial insurance and risk management programs are designed with an emphasis on value that matters … to you. For businesses seeking to add a trusted advisor to their team, our commercial insurance professionals have the tools and the support of the nation’s finest insurance carriers to provide a full array of coverage. Help our clients take control of their Total Cost of Risk through the design and implementation of a customized Risk Reduction Plan™. Help our clients look more attractive to the insurance marketplace. The Risk Reduction Approach™ follows a uniques process that allows us to uncover the potential risks that any company faces. Executive Briefing™ – First, we have a discussion with business leaders to explain our process in more detail.We can then both determine if it makes sense for both of us to move forward in the process. 1. 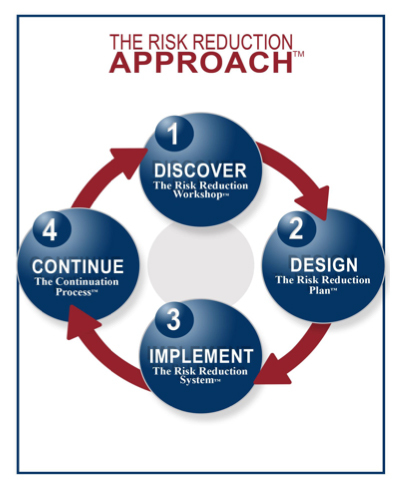 The Risk Reduction Workshop™ is a consultative session where we uncover all of the risks that a business faces. 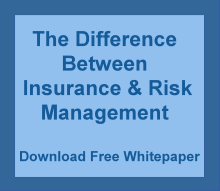 This focuses on preventive measures to avoid claims from ever happening. 3. Implementing the Risk Reduction System™ between our account team and our client’s team. The detailed strategies & programs are documented and agreed to. This provides accountability to the program to ensure that the goals are met. 4. The Continuation Process™ ensures that the plan was implemented as agreed to. We provide a stewardship report and begin the process again. We are always working on a 3 year rolling plan to control the total cost of risk for our clients. 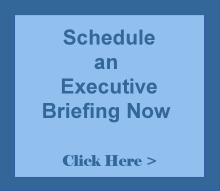 Schedule an Executive Briefing Now!